Wrap and Roll, Izzy! | Izzy have you eaten? As newbies back in Australia, I am still discovering all the great new products in our local supermarkets. Little C likes to come when she can : you know your sis is a great believer in healthy food, and she likes to keep track of her chef (moi) and to make sure I am finding all the wonderful varieties out there. It was such a delight to have a quick week-end in Melbourne! You both make such a difference to your grandma: the best tonic! Before I left the city in the afternoon, you and I had a quick whip around your local supermarket in Carlton. I pointed out the wraps your sister has discovered which I use to make her school lunches OFTEN these days- she loves them. Little C wants me to show you here how it is done, so you can enjoy them too! So, Izzy- the wraps you have already: we picked them up yesterday at the Carlton Woollies. These lovely thin and soft skins are a perfect envelope for all kinds of yummy fillings. 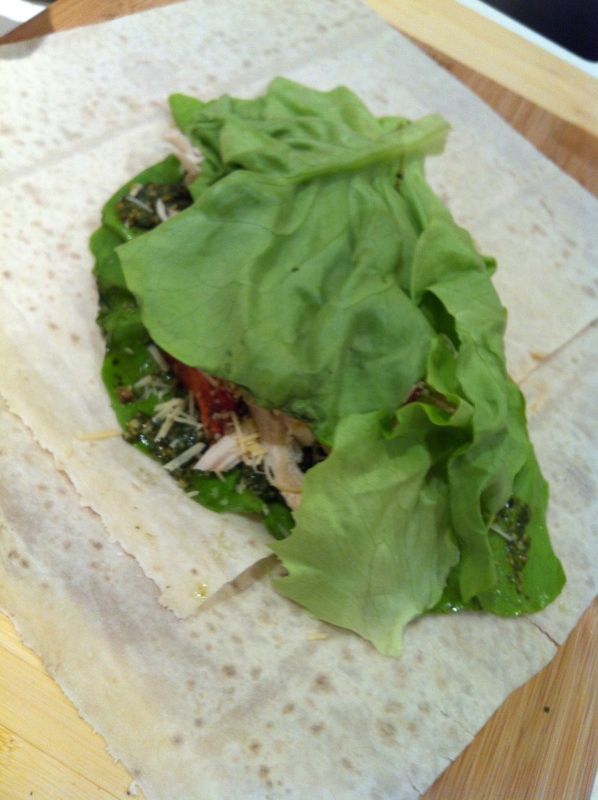 Great wraps to use for lunches : find something similar and get rolling! 1. 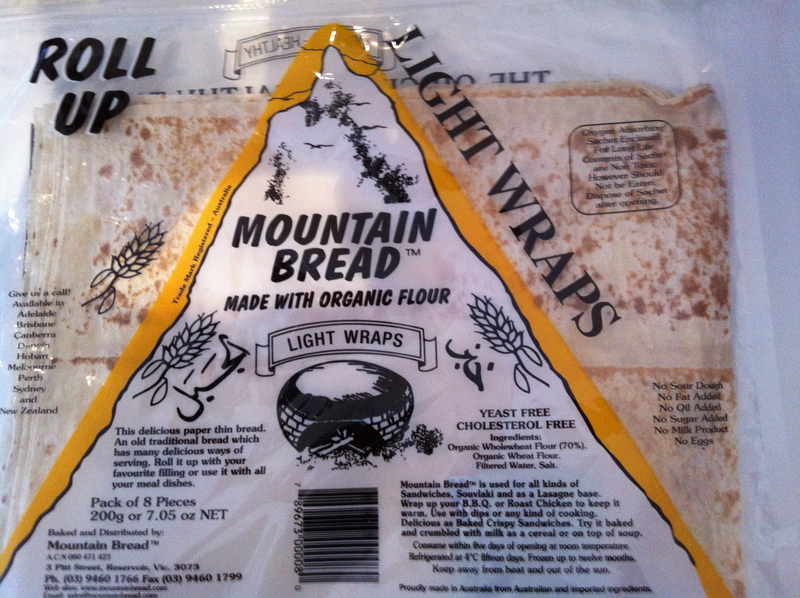 Lay down two pieces of Mountain Bread, overlapping each other. On the bread surface, place two large pieces of lettuce. 3. Now smear with some pesto or hummus, or a bit of mayonnaise. Next, scatter your protein if you are using it: shredded chicken, fish flakes, cooked prawns, etc. 4. Pile on the veggies: shredded carrots, pitted olives, roasted corn, ……….whatever takes your fancy! 5. Season with chilli flakes or pepper, or a sprinkle of sesame seeds. 6. 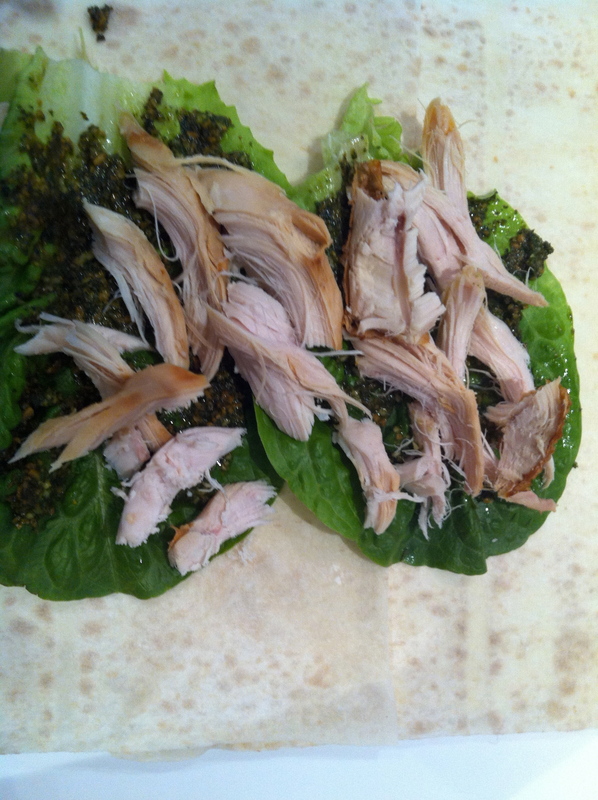 Before you roll it all up, add another layer of lettuce leaves. 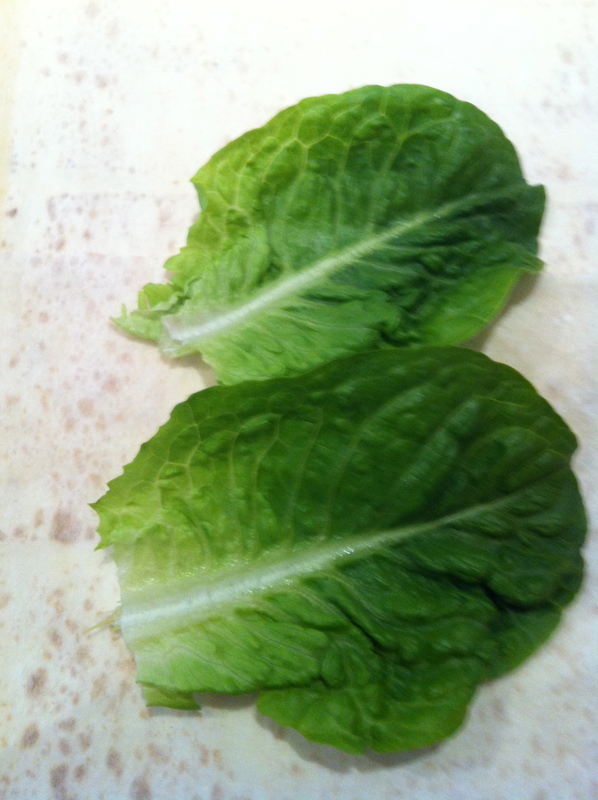 The top and bottom layer of lettuce keeps the wrap from going soggy if you want to pack it for a later meal. 7. If you are packing it to go, wrap it tight in some Glad Wrap. A fresh and delicious lunch. Top layer of lettuce before wrapping it up! 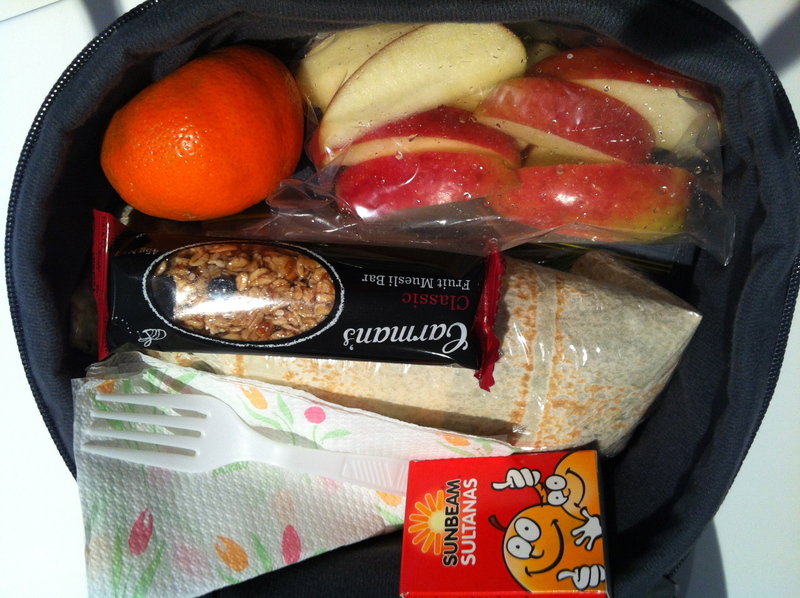 This entry was posted in GROUP B, Uncategorized and tagged Lunch time wraps by tgb9593. Bookmark the permalink. Oooh- my clever girls- eating right, eating healthy!